The loss of an hour in exchange for longer evening light and changing all of our analog wall clocks is worth it to me. It’s like waking up from the long dark slumber. My mind bounces to spring skiing, trail running, HUCKLEBERRIES!, alpine hikes, wildflowers, waterfalls, and summer thunderstorms. 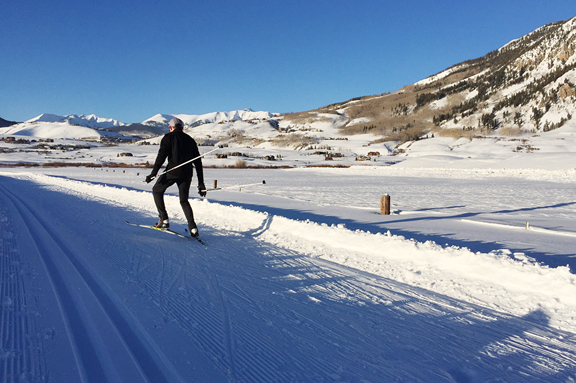 Colorado is once again sitting under sun and blue skies, so it really feels like spring has given winter the boot. 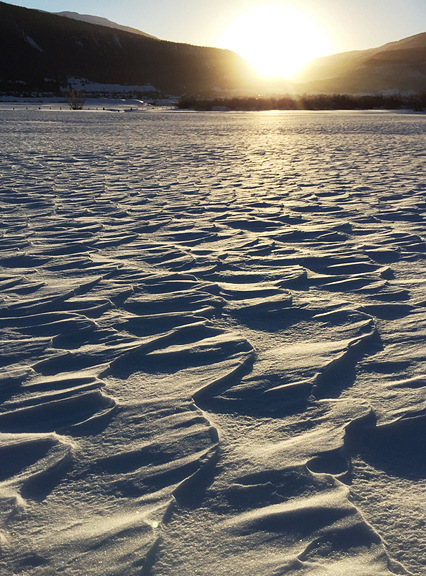 Subtle shifts in our diurnal temperature cycle means melt in the afternoon that refreezes into ice come morning. For now, it is still technically winter and so I plan to see it through to the end. For such a short trip to Crested Butte, I didn’t want to bother with cooking anything elaborate – or cooking anything at all! I decided to make it easy on both of us and bring leftovers from the week. That way we could reheat our food without having to scrub the kitchen down or do tons of dishes. 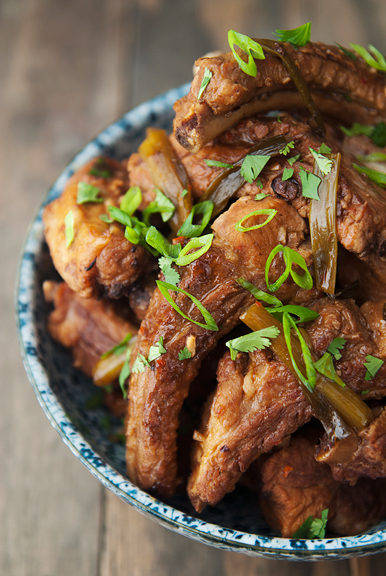 One of the dishes I brought was Chinese-style black bean ribs. Despite the balmy weather, we still dropped below zero (°F) overnight, which meant it was already in the teens when we got home from skate skiing. So a hot bowl of steamed rice topped with these tender stewed baby back ribs was the perfect thing to warm our bellies. Two racks of baby back ribs will get you to about 4.5 pounds or more. More isn’t a bad thing, really. The recipe has you slice the ribs into 2-rib sections, but I cut them into 1-rib sections to make them easier to maneuver during cooking and easier to eat. I did make a few substitutions because I was out of dried chiles and didn’t have fermented black beans. Instead, I used chili garlic sauce and black bean garlic sauce. There is no such thing as too much garlic. 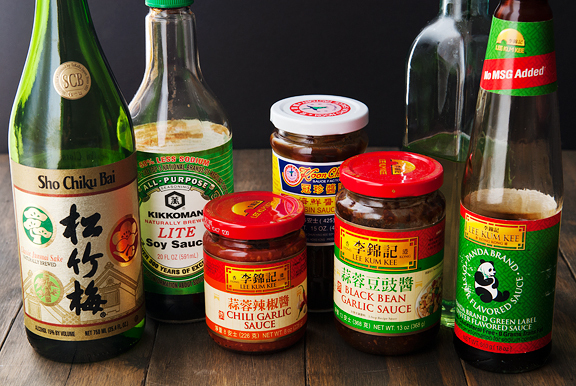 You can find almost all of the sauces at any Asian grocery store and probably some western grocery stores, too. 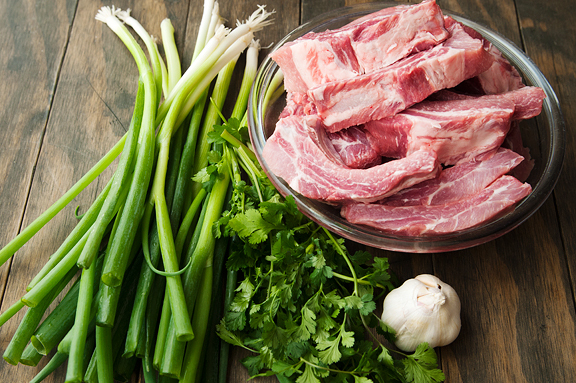 The preparation for this dish is fairly minimal: stir the sauce together, chop or smash the aromatics, and quickly sear the ribs. It’s the cooking time that gets you. I used my wide Dutch oven and had to sear the ribs in two batches. That’s okay. When the first half of the ribs are seared, remove them to a large plate and then sear the second half. It takes about 5-6 minutes to sear each batch. 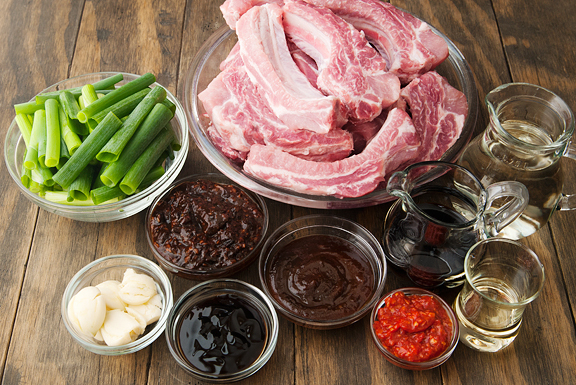 After the ribs have been set on a plate, sauté the green onions, garlic, and chiles – or in my case, the chili garlic sauce – together in the same pan you used to sear the ribs. When the aromatics become fragrant, add the sauce. Once the sauce comes to a simmer, add the ribs to the pot. The recipe then covers the pot and simmers the ribs for an hour. I think in the future, I’ll opt to use my pressure cooker for super tender ribs. However, this time I decided to follow the recipe to see what the difference would be. After one hour, my ribs were not quite as tender as I would have liked, so I let them simmer an additional hour. The extra hour of cooking helped to make the rib meat more tender, but it wasn’t that falling-off-the-bone style with which I seem to have a mild obsession. Still, they were quite tasty and easy enough to eat. 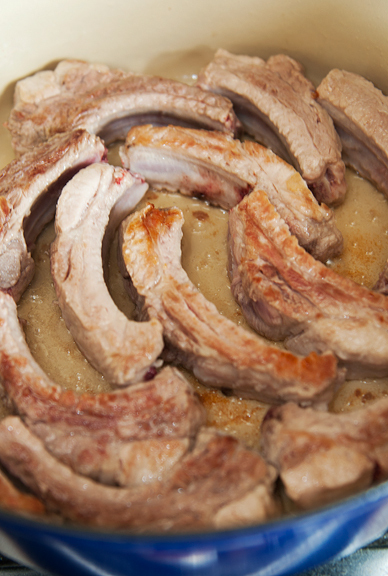 Remove the ribs to your serving dish (a bowl is advised) and de-fat the sauce. You can accomplish this by skimming the fat off the top – a method I find maddeningly inefficient – or you can do the ziploc bag trick, which I love. The trick is to let the sauce cool a little bit, then pour it carefully into a gallon ziploc bag. Remove as much air as you can (doesn’t need to be precise) and seal the bag. Hold the bag so one of the bottom corners is sitting within your vessel (a really large measuring cup, a pot, a bowl, whatever) and use a sharp knife tip to slice a hole in the bottom corner of the bag. Let the liquid pour out until the fat layer reaches the bottom, at which point you want to pinch the corner closed and throw the bag and fat away. Careful not to burn yourself. Now you have de-fatted sauce. Serve this with the ribs. Yes, do this. 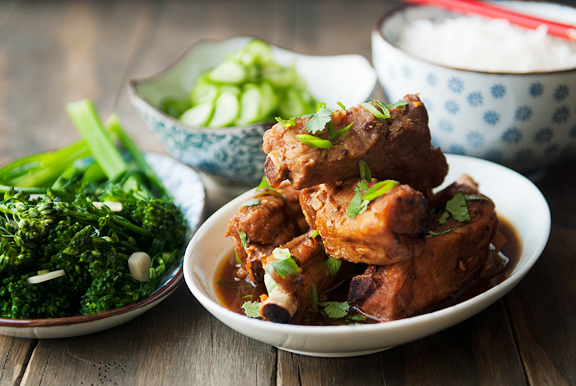 These savory, earthy, slightly spicy ribs are such a delight to eat. 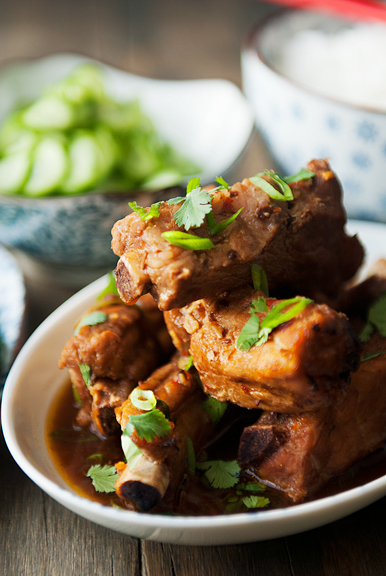 They are perfect with a bowl of steamed rice and some Japanese cucumber salad – both of which balance the salt of the ribs with sweet and sour. And don’t forget that sauce. It’s great on the ribs and even better on the rice. The ribs reheat beautifully, so making them ahead for a quick weeknight meal is a no-brainer! 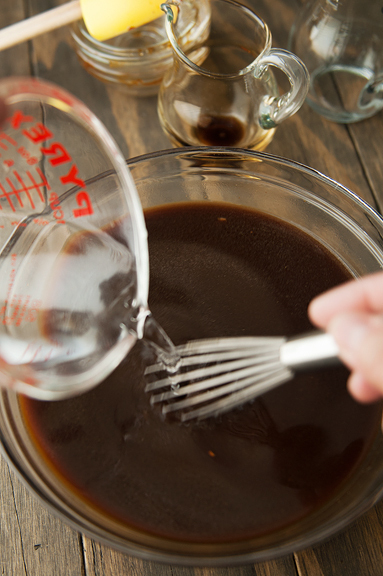 Whisk the sake, black beans, soy sauce, hoisin sauce, oyster sauce, and water together in a medium bowl. Let stand for 15 minutes. 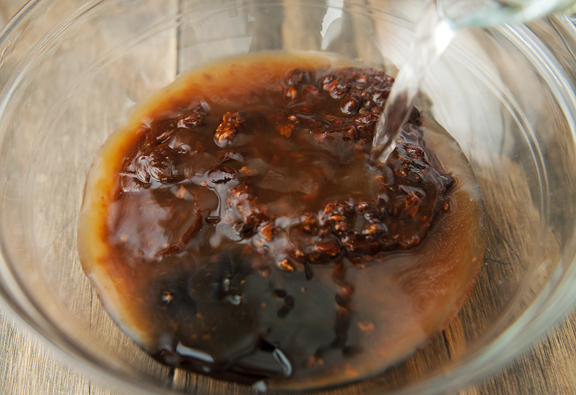 Heat the oil over medium-high heat in a large enameled cast-iron casserole until very hot. Brown half of the ribs in the oil for about 2-3 minutes, then flip the ribs to brown the other sides. Remove the ribs to a large plate. Brown the remaining ribs and remove those to the same plate with the rest of the ribs. 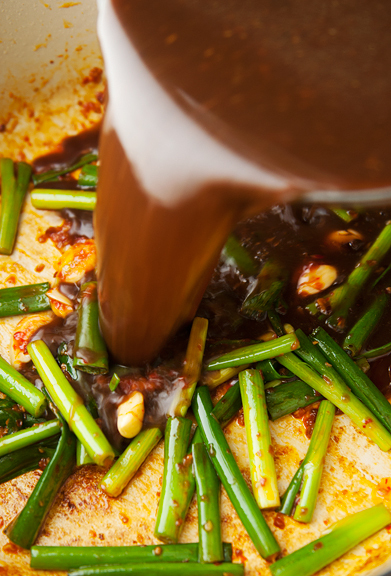 Add the chiles (or chili garlic paste), garlic cloves, and green onions to the oil and cook over medium-high heat until fragrant. Pour in the sake mixture and let it come to a simmer. 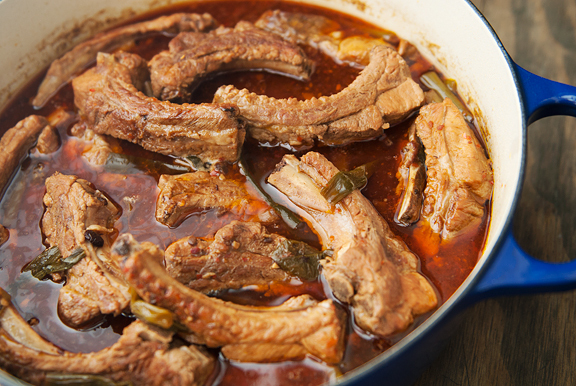 Place the ribs in the casserole, cover with the casserole lid, and simmer over low heat. The original recipe calls for an hour of simmering, but I really prefer my ribs more tender, so I simmered for 3 hours. Choose what works best for your tastes. Remove the cover and let the sauce simmer for another 10 minutes to reduce the liquid. 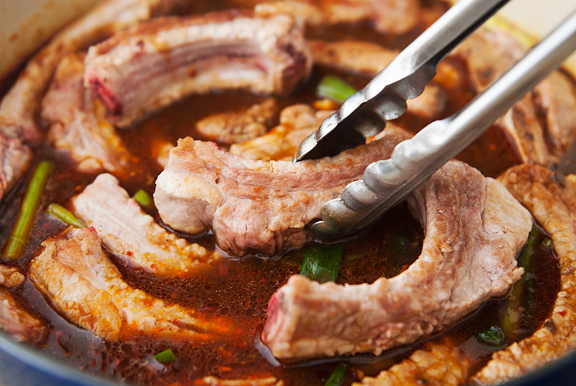 Place the ribs in a large bowl. De-fat the sauce by skimming the fat off the top. Or, you can pour the slightly cooled sauce into a large (gallon) ziploc bag and poke a hole in the bottom corner of the bag with the tip of a sharp knife to let the sauce drain into a vessel, pinching the corner off before the fat drains out and discarding the bag and fat. 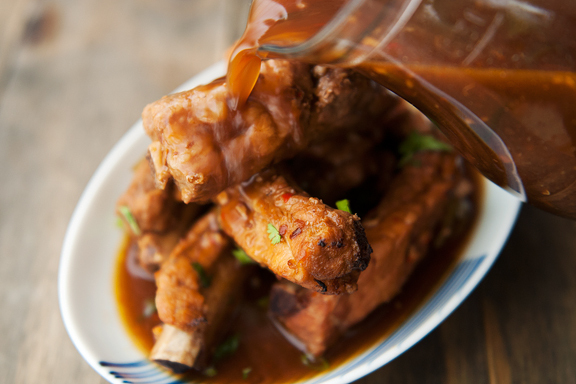 Serve the ribs with a little sauce poured on top and the rest of the sauce on the side. 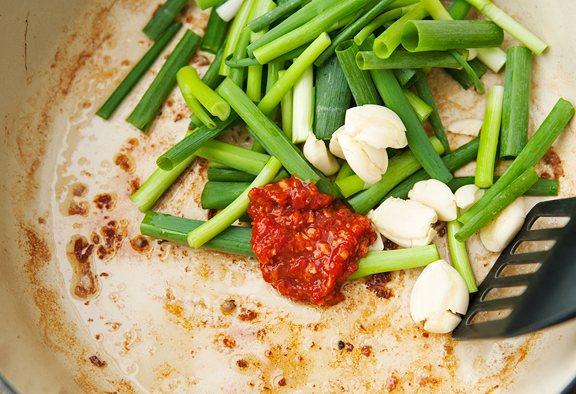 Garnish with sliced green onions and cilantro. Serves 6-8. These sound delicious! And I am with you in that there is no such thing as too much garlic. Speaking of garlic, I made the roasted cauliflower and garlic last week, and it was great. I also made the boozy Mississippi mud pie this weekend for a gathering, and everyone loved it! I had given my son a slice before I left, and he asked if I’d brought any home. Nope, nothing but a washed pie plate. Thanks for those recipes! The ribs look delicious ! Will have to make it soon. Thanks. If you want the ribs to be tender, after you cook them you can wrap the ribs in aluminum foil and bake them in a toaster oven for 45 minutes at 375 degree. The meat will fall apart when you eat them with a folk. I bought pre-cooked ribs that were from COSTCO, washed away sauce, cut into sections and baked. They were delicious. Veronica – ha ha! 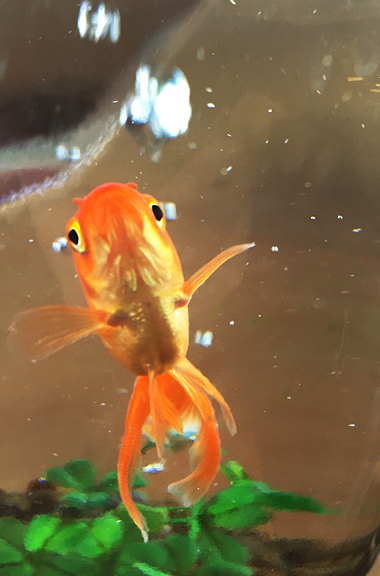 Bubbles would be an easy pet, wouldn’t he? Thank you for the ziplock bag trip. This will be very popular at my house not just for sauces, but soups, too. Brilliant! Hi. Have you tried this in the pressure cooker yet? If so, how long did you cook them for? Monique – I haven’t tried this with my pressure cooker, but a general guideline on my pressure cooker times says about 15 minutes on high setting for 2 lbs. 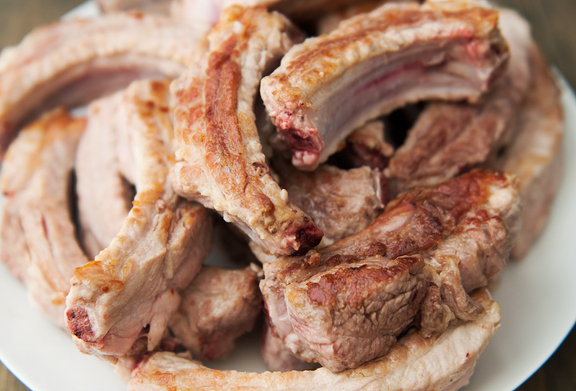 of pork ribs.